Today I have for you one of my favorite, healthy, good for you side dishes that is not only perfect for the holidays, but it is perfect for having for lunch or as a side with your dinner. 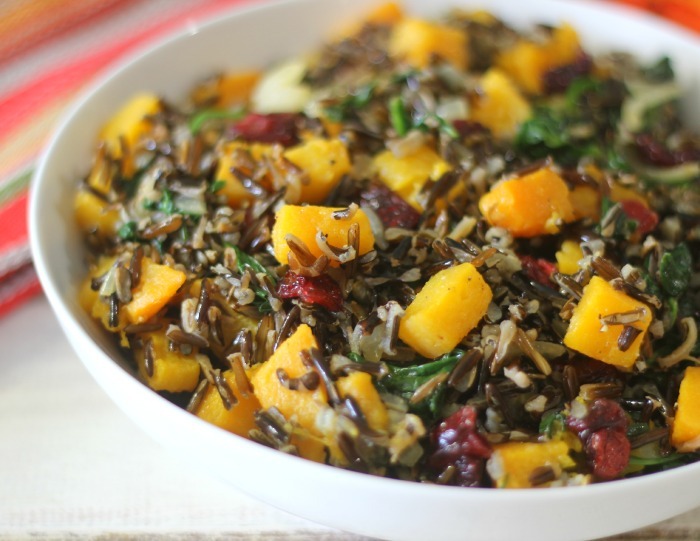 Today I have for you Butternut Squash Wild Rice. Oh boy do I love this dish. It’s sweet, savory, easy to make and in my mind simply perfect. I had a hard time with this recipe because I didn’t want to share it with anyone. I kept testing it and testing it because, well it tastes good. This is truly a me recipe and I be it could be a you recipe too! Plus I think it has the perfect color combination to have on your Thanksgiving or Christmas table. Isn’t it pretty? To make the recipe I used Wild Rice. 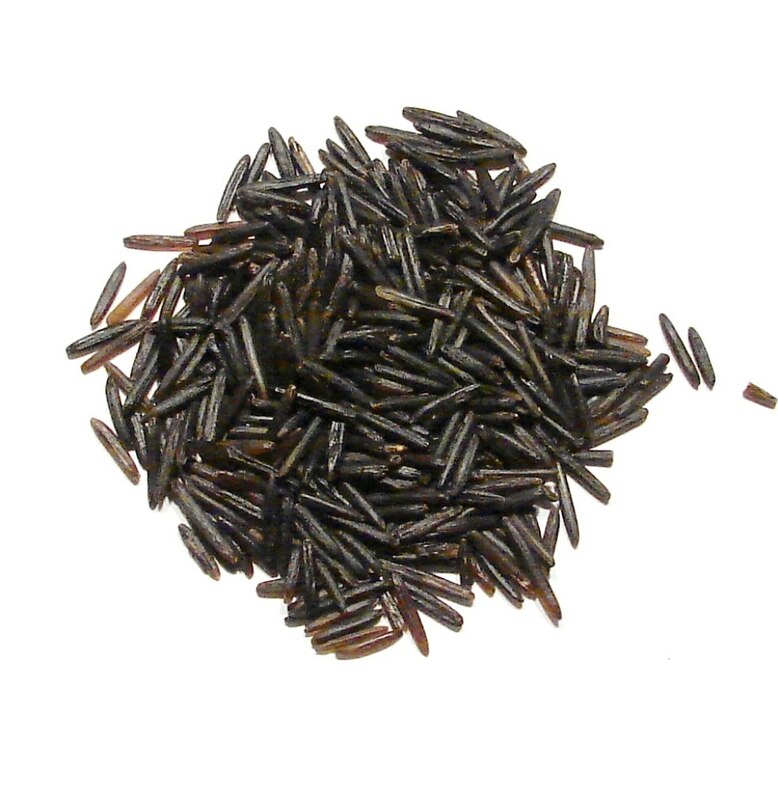 I love Wild Rice it’s one of my favorite all time grains. It’s versatile, picks up the flavor of any of your dishes, it’s pretty and full of protein and fiber, all the good things that are in a grain. I teamed up with Grain Foods Foundation to tell you how wonderful and healthy grains are. As you know I am a grain lover. Give me whole wheat, oats, wheat berries and rice and I am a happy camper. 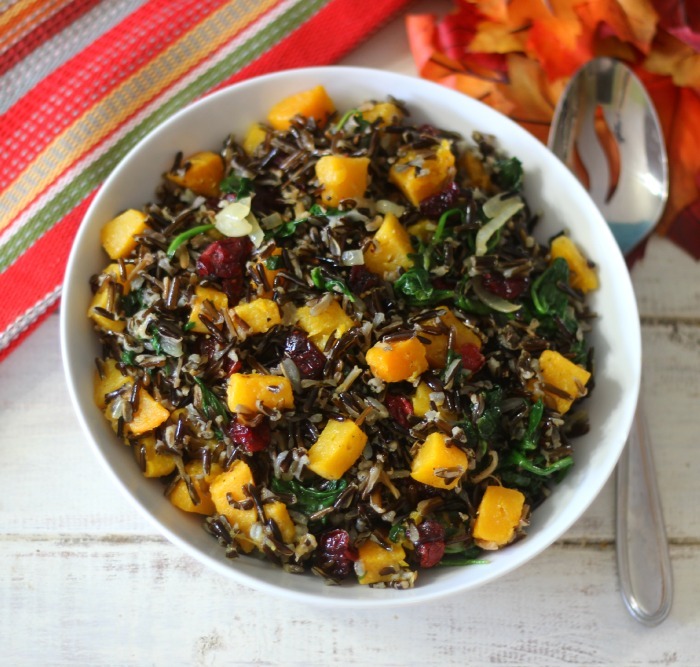 This recipe is made with roasted butternut squash, spinach, onions, wild rice and cranberries to give it a festive coloring and flavor. To add a boost of flavor I cooked my wild rice in chicken broth. To keep this dish vegetarian you could use water or vegetable broth. Add butternut squash to a bowl and add 1 tablespoon of olive oil and season with salt and pepper. Add to prepared baking sheet and bake in the oven for 30 minutes, flip half way through and cook until fork tender. In a medium sauce pan, bring chicken broth to a boil. Add rice and bring to second boil. Cover rice, and simmer on low for 40 minutes until broth is evaporated. Fluff with fork. Meanwhile in a skillet, heat 1 tablespoon of olive oil, add the onion, cook for about 5 minutes until tender. Add a handful of spinach and cook until wilted. 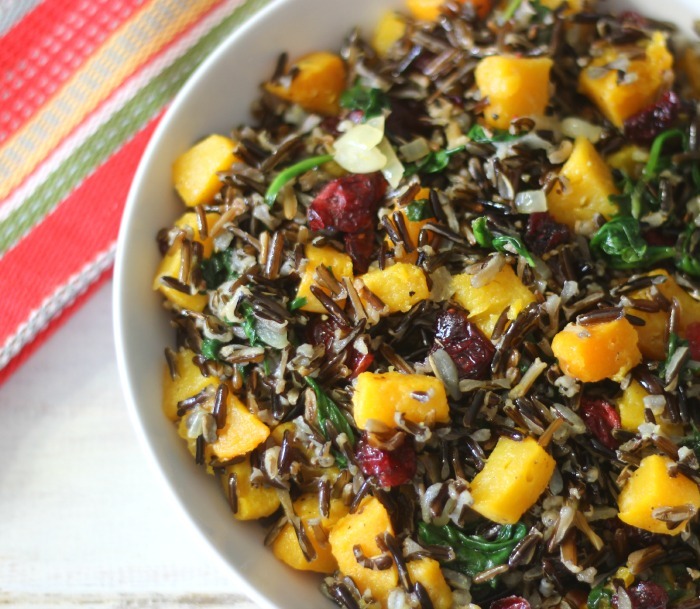 Add the cooked butternut squash, rice and cranberries; mix until combined. My family absolutely loved this recipe. I was actually kind of surprised considering my Husband doesn’t care for butternut squash. I think that your family would love it too and would be a beautiful side dish to serve at your holiday table. I teamed up today with Grain Foods Foundation / grainsforyourbrains.org. to share with you my recipe. But you know what? I checked out the Grains for your Brains website and they have some fabulous recipes to make using your favorite grain. 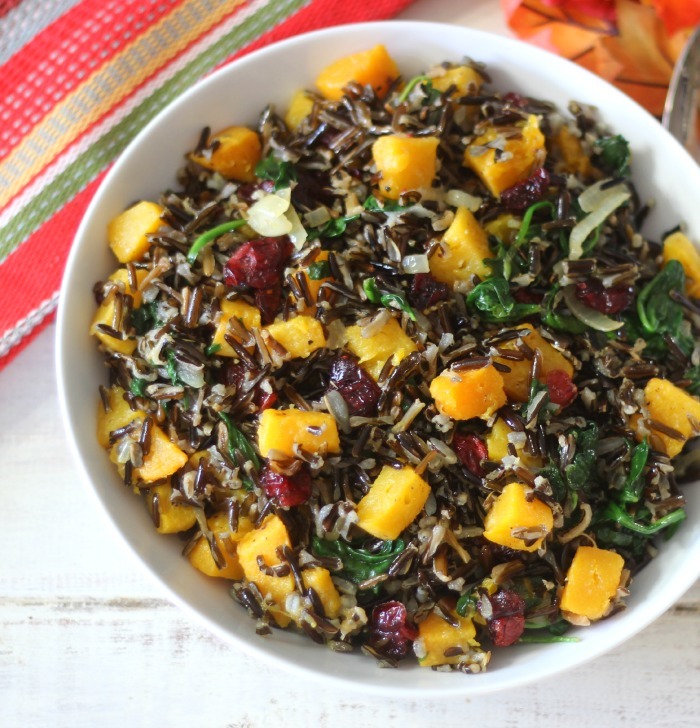 What are your favorite grains that you like to share at the holiday time? This post is sponsored by the Grains Food Foundation. All opinions are my own. Oh the flavors in this are amazing!! I added some minced garlic….. YUMMY!! Ohhhh yum! I never thought of adding garlic! Great idea! Made this for dinner tonight. Sooo good! Absolutely loved it. Will add garlic next time. I think this is my new obsession. So glad you liked it. It’s a nice dish and great the next day. Ive been wanting to make this for the longest. Thanks for the recipe. This was delicious! I only had 1/4 cup of wild rice. So I subbed the rest with tri-colored quinoa. Replaced the spinach with arugula and sprinkled with pumpkin seeds. Sounds like a great combination. Nothing like taking a recipe and making it your own. Enjoy!